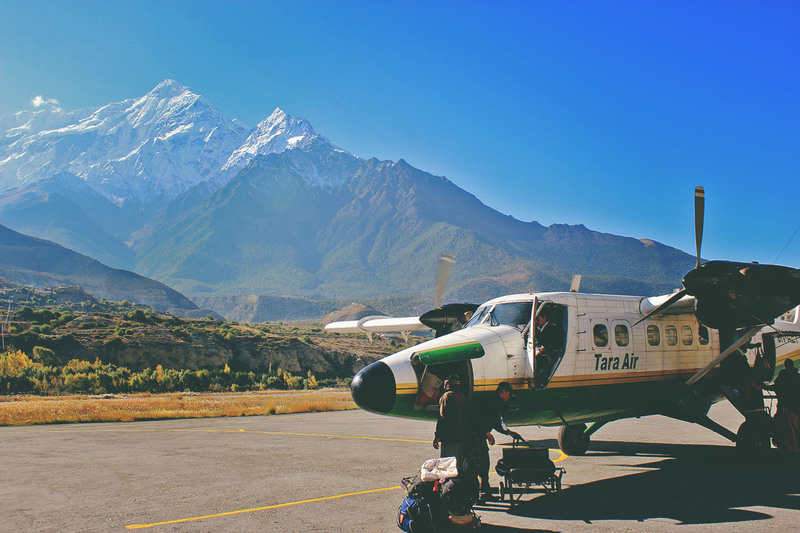 From the tiniest airport I’ve ever seen to the tiniest plane I’ve ever flow in, it was all too clear that the Annapurna Circuit experience was coming to a close as we flew out of the Himalayas. It was bittersweet. I was a bit relieved to not be clocking kilometer after kilometer in oxygen-deprived air. I was not pleased to be indoors, breathing recycled air and using proper toilets. Long gone were the evening rituals of stripping down, spreading out and curling in. 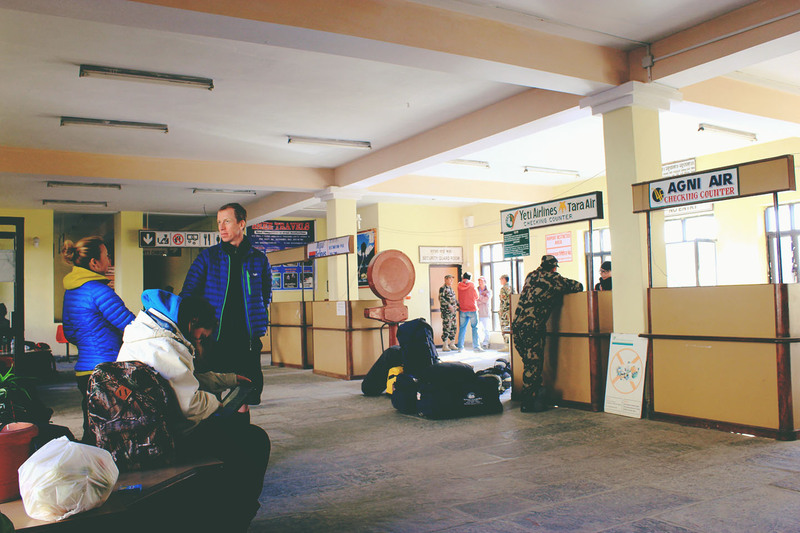 Long gone was the camaraderie and discourse between trekkers. 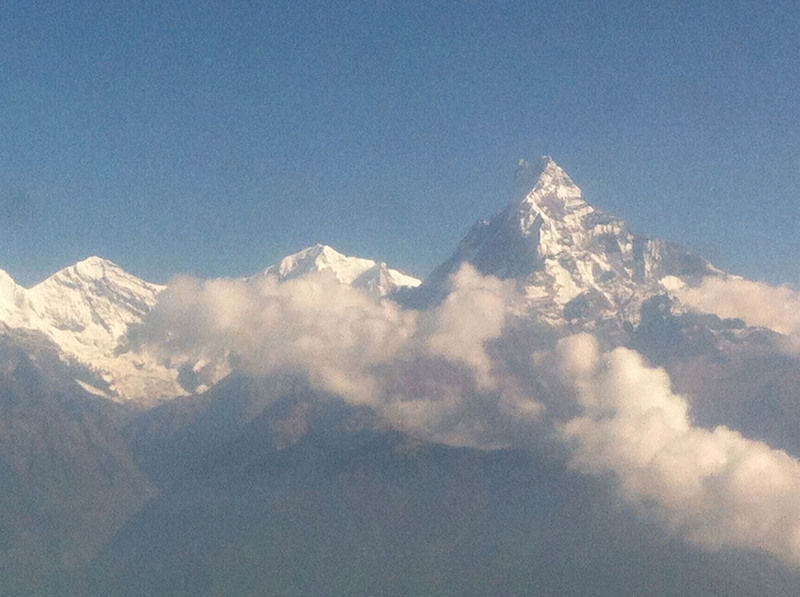 The short flight from Jomson to Pokhara did, however, offer up awe-inspiring views of Mount Machhapuchchhre, or Fishtail Mountain, before descending to Pokhara. 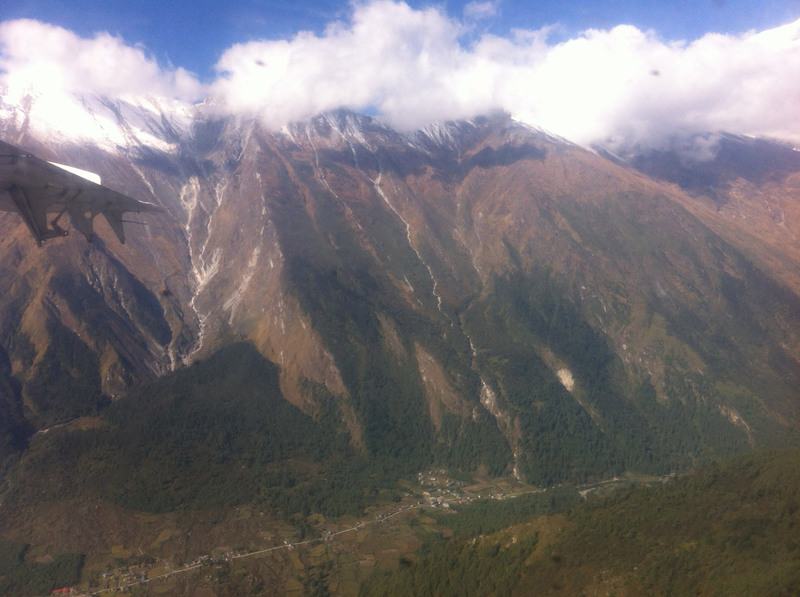 Completing the Jomson trek on the Annapurna Circuit was a fabulous experience that I would highly recommend. While I don’t think I’ll return to Nepal to spend even one day in Kathmandu, I look forward to returning to the mountains and hitting the trails.